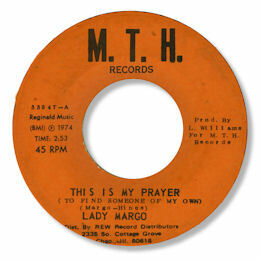 Joyce Fargo used the stage name Lady Margo for both her gospel and secular recordings, cutting a good few tracks in Chicago through the 70s and into the early 80s. 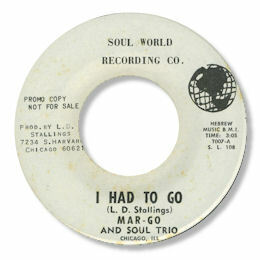 The risqué blues "I've Got Just The Thing" maybe her most identifiable song as it was released no less than three times. 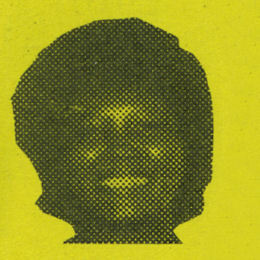 The first issue on Soul World has a production credit to "Joyce Smith" who may well have been another alias for the singer. But for me it was her ballads that really hit home. The first of these was the fine I Had To Go which introduced her powerful and emotive singing, full of gospel touches with a strong sense of dynamics and excellent timing. The backing is a simple rhythm section but the male harmony group give the number some tonal colour as the horn section are pretty well down in the mix most of the time. Joyce's second deep soul track was the excellent This Is My Prayer, a splendid blues ballad beautifully arranged - particularly the horns and strings - and on which she gave a highly charged emotional vocal complete with a nice little rap in the middle. A really strong side. This came out on one of the labels associated with the "lively" entrpreneur and blues singer Mack Simmons who had his finger in a lot of pies - not all of them savoury. 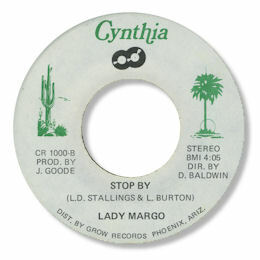 Lady Margo's final sides came out on Cynthia located in Phoenix, AR but like the J J Williams 45 that also appeared on that label I would think that they were bought in rather than recorded there. I'm quite partial to the plodding toe tapper "I Enjoy Loving You" and the finely crafted ballad "Nothing Better" but the pick of the four released cuts is certainly Stop By. I would put his moody deep cut as one of the best late 70s soul tracks as it harks back to the great female songs of the earlier in the decade by stars like Denise LaSalle, Laura Lee and Millie Jackson. Margo starts off with a longish rap and then really cuts loose especially on the chorus when the horn section fires it up as well. She really hollers her heart out here - wonderful to listen to. Sadly this turned out to be her last secular recording but she did cut some gospel material under the name Sister Margo for both her own Cynthia's label and, in the early 80s, on Leric. A very fine singer indeed.